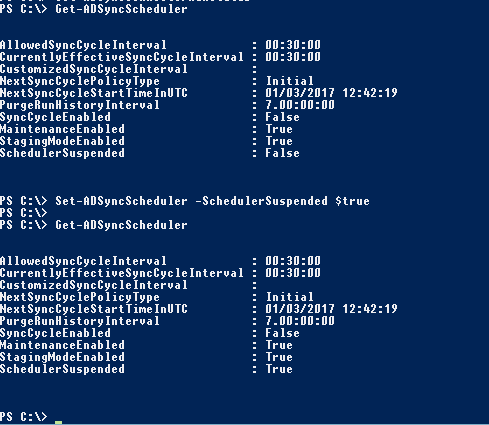 While trying to change the configuration on a hot standby Azure AD Connect server, the "cannot change configuration" error comes up and what is interesting is that it complains about a synchronization in progress as the cause. But, how can a standby server be synchronizing? Every time I ran the AAD Connect configuration wizard, the below issue came up. I checked the Sync Scheduler settings on the server by running Get-ADSyncScheduler and everything checked out fine - maintenance & staging mode was set to true. I noticed that there is a setting to suspend the scheduler and I set that to true as well (it is not required though). No change in the error. 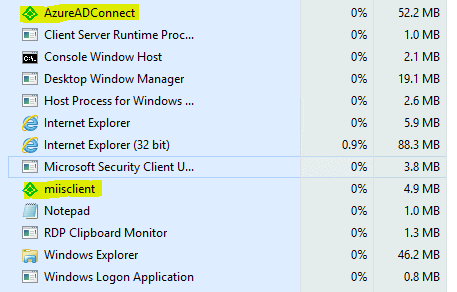 The issue was a simple one - there was another session on the hot standby server which had the AAD Connect wizard open. As soon as I killed the session, I was able to make changes on the standby server. I have come across this issue before, but on the active AAD Connect server. The error was different in that case though, do read about it.